I was starting to wonder what the point of having a webcam on the kittens. Every time I checked on them the past few days I couldn't find them anywhere. 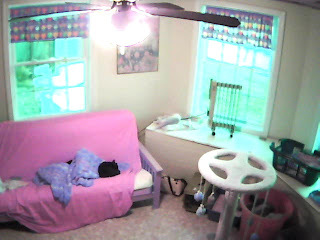 You can see Tin very easily.. Peter is smack in the middle of the screen on the edge of the window seat.